Luis Casimiro led Gran Canaria to EuroLeague for the first time in the history of the team and it’s only natural that the club will look to keep him on board. Last night marked the end of the road of Gran Canaria in 2017-2018. Despite the 3-0 sweep to Real Madrid in the ACB semifinals, the season was a successful journey for the team from Las Palmas. After making the EuroCup quarterfinals and Copa Del Rey semifinals, Gran Canaria punched a ticket to EuroLeague for the first time ever after beating defending ACB champion Valencia in the first round of the playoffs. 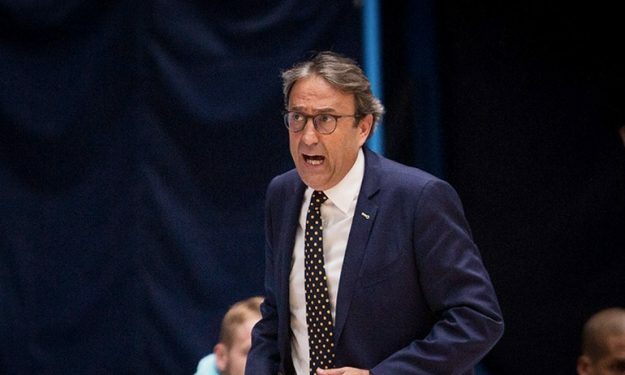 And now the club will look to compete in their maiden EuroLeague campaign with head coach Luis Casimiro remaining the helm, as Sports Director Berdi Perez hinted. However, while Gran Canaria will look to keep Casimiro, it’s still uncertain if the Spanish coach wants to remain with the team. “Luis Casimiro said that we would have to sit down and talk about that, but I can not even establish the deadline to know who will be our coach for next season. For the moment, Luis is still our coach, because after all the ACB season of 2017-18 is not over,” Perez added.